Search for high-quality factory outlets in PA. 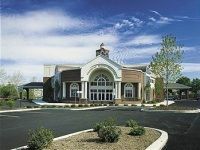 Enjoy premium factory outlet shopping in Pennsylvania. Unbeatable Prices Right Outside Philly! The Philadelphia Premium Outlets offer the lowest prices on all the best designer goods, apparel, and more right outside Philadelphia! This is the perfect place to do all your holiday or back to school shopping, or just beat the crowd and the price tag at your local mall. Some (and by all means not ALL) of the stores you'll find at PPO are: Calvin Klein, Forever 21, Banana Republic, Aeropostale, Ecko Unltd, Perry Ellis, Tommy Hilfiger, Polo Ralph Lauren, and Kenneth Cole. Why not take a day, and get all your shopping done for a great rate, at the same time? 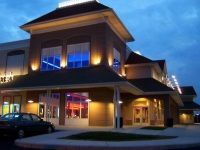 Have lunch in the food court, buy the things you want, and explore some of the best factory outlet shopping in Pennsylvania at the convenient PPO location. The Best Outlet Deals Right in Gettysburg! The Outlet Shoppes at Gettysburg have all the fantastic deals you've been looking for this year, plus all the convenience of a single location, complete with accommodation at the Country Inn & Suites, Frink Movie Theatres, and a Friday's Restaurant for dinner! This is not just a mall; you'll be able to buy from American Eagle, Dress Barn, PacSun, Old Navy, Tommy Hilfiger, GAP, Van Heusen, Levi's, Casual Male, and much more, direct from the factory, for prices you won't be able to find anywhere else. Some of the best factory outlet stores in the state are to be found right in Gettysburg, so be sure not to miss out. Don't Miss This Opportunity With Factory Outlets in Hershey! The Outlets at Hershey are a great place to do all your factory outlet shopping in Pennsylvania. They have unbeatable deals, not to mention their convenient location right near famous Hershey Park; it's fun for the whole family. You'll love the bargains offered by your favorite stores like Calvin Klein, Polo Ralph Lauren, Coach Factory, Nautica, PacSun, Tommy Hilfiger, GUESS Factory store, and much, much more! other great deals are available through AAA and the AARP, not to mention military discounts and coupon books! Call for more details, and don't miss this opportunity to save! Some of the Best Factory Outlet Shopping PA Has to Offer! At The Crossings Premium Outlets, you'll find some of the best deals available in the state. 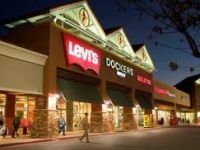 They have over a hundred of your favorite stores like Brooks Brothers, Calvin Klein, Tommy Hilfiger, Levi's, Dressbarn, Juicy Couture, Timberland, and Perry Ellis, plus many, many more. Visit their website for full details, listings, and a map of the outlet itself.You know you'll find your favorite food in the food court, plus nearby attractions like Penn's Peak. Factory outlet shopping in Pennsylvania has never been so convenient! Don't Miss Out On Great Deals At Rockvale Outlets! The Rockvale Outlets in Lancaster bring you the lowest possible prices, and best deals, on your favorite items. Their selection of stores is varied, ranging from children's apparel to footwear to Home and electronics to specialty stores and more! Some stores include Levi's, Haggar Clothing, Famous Footwear, Sleepy's - The Mattress Professionals, and the Bose factory outlet. Amenities include a full service food court, as well as many nearby attractions like Kitchen Kettle Village, and the National Christmas Center. Don't miss out! Great and Convenient Factory Shopping in PA! 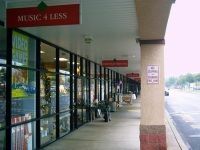 This is the factory outlet that started it all; the discounts and savings embraced by other stores (now nationwide) began with the VF Outlet Store selling products direct to customers right off the factory floor. Today the outlet has grown to include many of your favorite stores offering bargains you won't see anywhere else: Famous Footwear, Clarks Bostonian, Van Heusen, Vitamin World, Tommy Hilfiger, Samsonite, Black and Decker, and much more. Everything you need, with the deals you want, are all concentrated into one convenient location-be sure to stop by! Some of the Best Factory Outlet Shopping in Western PA! 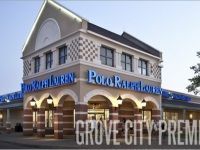 Grove City Premium Outlets offer Western Pennsylvanians some of the best deals on their favorite brand items, from apparel, to shoes, to kids'-wear, appliances, jewelry, and more. Where else in Mercer County will you find all these bargains in the same place, allowing to you get what you need without breaking the bank? Here's just a quick look at some of the stores that have set up a factory outlet in Grove City: Brooks Brothers, Juicy Couture, Aeropostale, Van Heusen, New York and Company, Levi's, Polo Ralph Lauren, Samsonite, Timberland, Coach, and Zales (and that's barely a fraction of what you'll find). 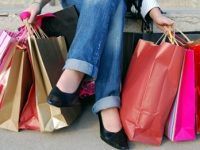 Don't get gouged at the mall; spend some time at one of the best factory outlet locations in PA.
Amazing Factory Outlet Shopping in Lancaster PA! The Tanger Outlets in Lancaster, PA offer fantastic deals in Eastern Pennsylvania on all the direct factory products you want this season. Why not make of a day of it? Up to date information and coupons at Shopper Services, plus the delicious food in the food court, means you'll be able to take advantage of these offers all day long. Be sure to check their website for a complete list of stores so you can plan ahead. Here are some highlights: Kenneth Cole, Aeropostale, Timberland, PacSun, Polo Ralph Lauren, Tommy Hilfiger, Nautica, Calvin Klein, and Rockport. A Shopping Extravaganza Waiting To Happen! 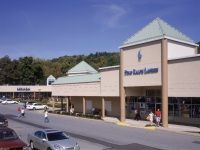 The Penn's Purchase factory stores offer some of the best shopping you'll find anywhere in Eastern Pennsylvania. The factory direct prices are the best way to get that new suit or dress, buy yourself a few pairs of shoes, pick up holiday presents, outfit the kids for back to school, and much more, all without having to stretch the family finances. They have Brooks Brothers, Van Heusen, the Bose factory Store, Kitchen Collection, Coach Factory, Nine West, and all sorts of amenities to keep your stomach happy too (like Villaggio Italian Restaurant and Dairy Queen). 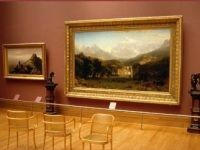 This is a shopping extravaganza waiting too happen - just don't wait too long. Franklin Mills Has All The Factory Outlet Shopping You Need! Franklin Mills may just be one of the most famous malls in Pennsylvania, but did you know that their wide selection of your favorite brand name locations is made up of lots of factory outlet stores? In addition to the great atmosphere and bustle you're used to, you'll also find great deals from Brooks Brothers, Bose, Banana Republic, Ecko Unltd, Polo Ralph Lauren, GUESS? Tommy Hilfiger, Levi's, Kenneth Cole, Nike, and more! All this plus their convenient location just outside of Philly, means that you can't beat these deals anywhere else around.